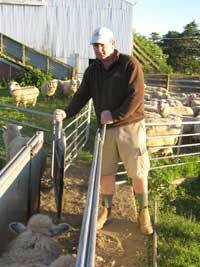 CR NELSON LTD : Livestock Agents for Sheep & Cattle. The leading independent livestock agents in the region, CR Nelson Limited brings a wealth of knowledge to livestock services in Wairarapa, Southern Hawke’s Bay, Manawatu and Northland. Our strong relationships and affiliations with meat processors, other livestock companies, finishers and breeders enables us to negotiate the best prices and contracts for our clients buying or selling prime stock or store stock in the sheep and beef market. Our philosophy is very simple – “For our business to grow, we need our clients’ businesses to grow in tandem”.